It started early for a Saturday and went on from there. Soccer game for MGS, so cute, all those little people! GES is the assistant coach for MGS’ team, ACS is EJS’ coach. The entire family is soccer proud. Then it was the first lacrosse practice for MGS, ACS stayed and the rest of us went on the drink run. 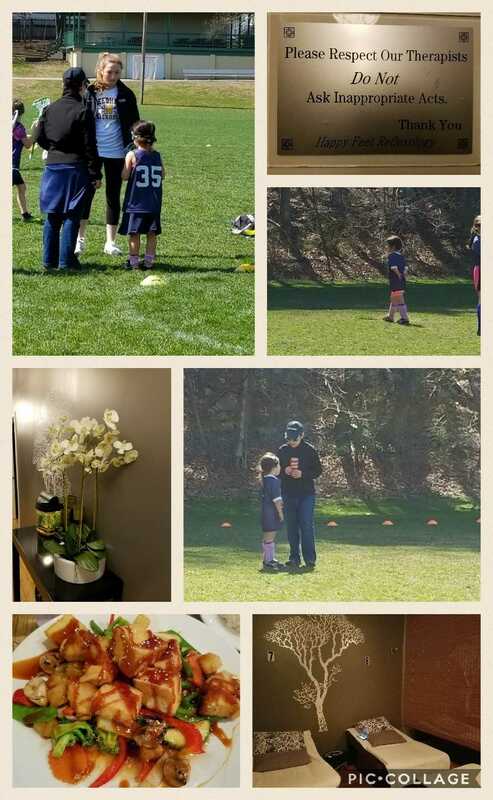 After practice, two friends of EJS and MGS came over, their mom is one of the lacrosse coaches, score. When I finally got up, ACS had taken the girls out for dinner and GES and I had some sister time. We went to a Vietnamese restaurant, good conversation, time to catch up and one -on- one. Then… next door for a foot massage. An hour massage, about 20 minutes on the back and shoulders and the rest…sweet footsies! $35 for an hour?! Let’s just say…Ahhhh… Wait, I have to stand up again? Nooo.. this feels too good! What a day! What’s tomorrow going to bring?